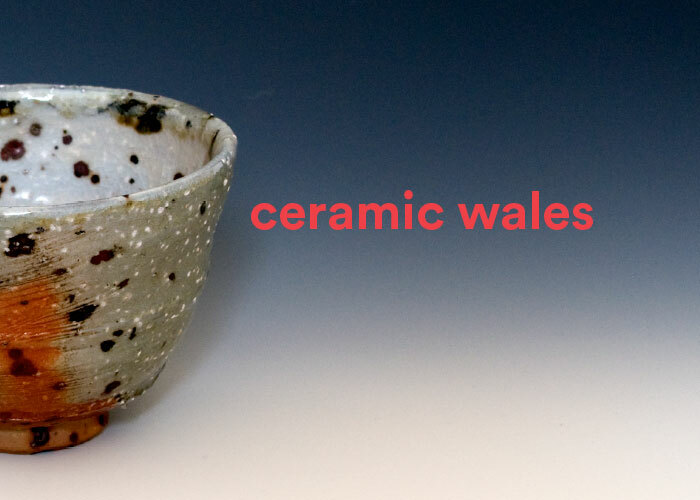 I've been making lots of new work this spring and I'm looking forward to showing it at the ceramic events this summer. The first show is Potfest Scotland at the beautiful Scone Palace, Perth from Friday 9th - Sunday 11th June, 10am - 5pm daily. This is Potfest's 21st year at Scone Palace...if you've never been before the ticket price also includes entry to the beautiful palace gardens. 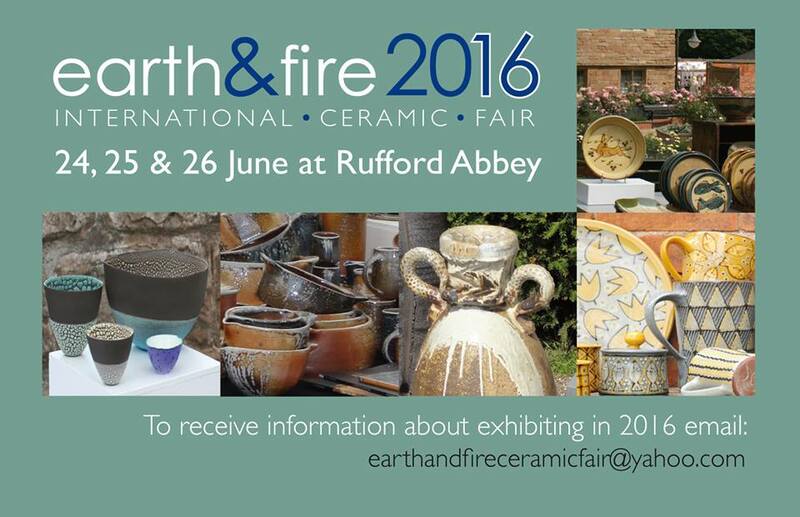 Following a very successful show last year, I'm returning to Nottingham for the Earth & Fire International Ceramic Fair from Friday 23rd - Sunday 25th June. 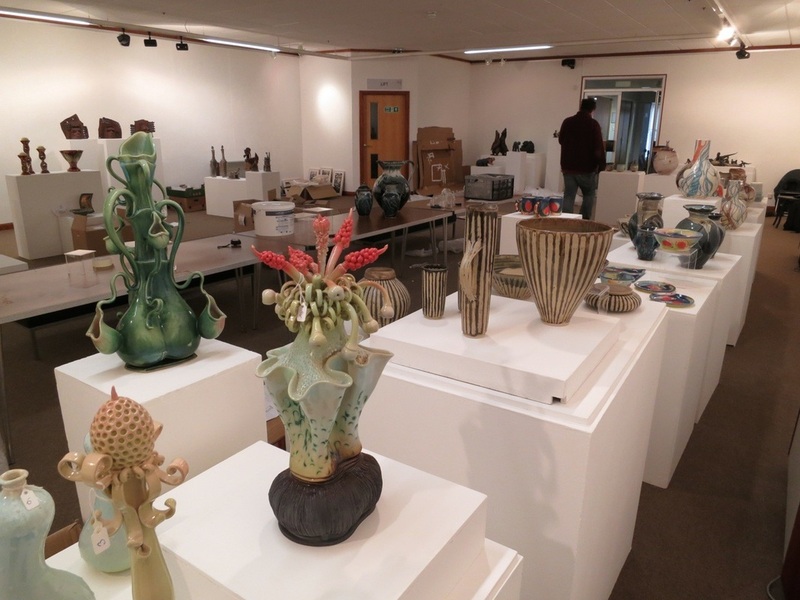 Over a hundred diverse potters from the UK and Europe show work here at the Harley Gallery, Welbeck. Last fair of the summer is the fabulous Potfest in the Park at Hutton in the Forest, Cumbria from Friday 28th - Sunday 30th July. The theme for 2017 is, 'Ancestral Voices - echoes of another time, another place'. I look forward to meeting some of you at these events, please do look out for me and say hello! 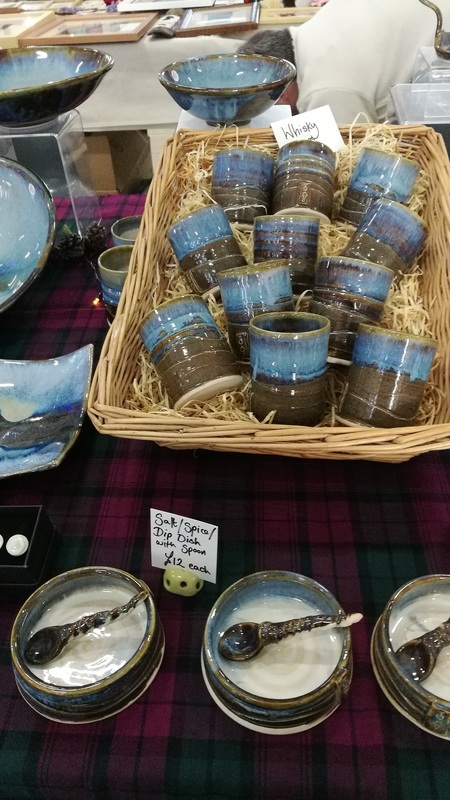 The busy season of Christmas markets has begun with a great fair in Dunoon last weekend. I had a wide selection of pieces from my Scottish Landscapes range; large and small bowls, mugs and dishes as well as my very popular whisky cups [scroll down to see images]. As well as buying these at the fairs, you can still buy from the range in my Etsy shop, however it's always lovely to meet my customers and have a chat, so please do come along if you can. 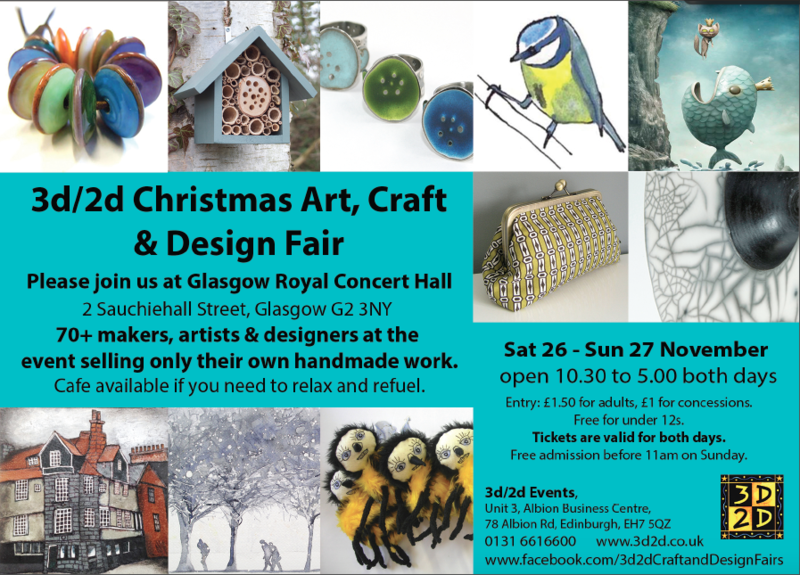 The next fair is the 3d/2d Christmas Art, Craft + Design Fair at the Royal Concert Hall, Glasgow on the 26th - 27th November. On Saturday 3rd December I will be at the Out of the Blue market in Leith, Edinburgh. This should be a great event alongside some really interesting stall holders in a lovely venue...live music too! Here are a couple of images of the Scottish Landscapes work on sale this year...including my new shallow dishes with little ceramic spoons. The perfect set to serve up dips and antipasti this Christmas! 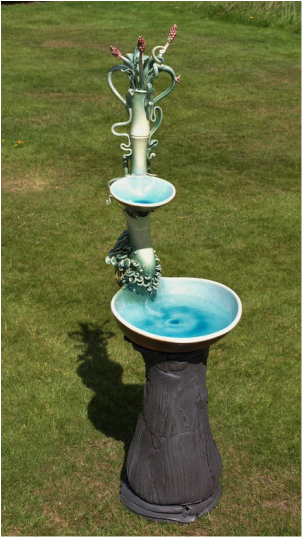 I was very pleased to have an image of one of my sculptures used for "A Taste of Potfest' exhibition in Hawick [see previous post]. It finished at the end of May but Potfest is just around the corner so there's another opportunity to see my work there. 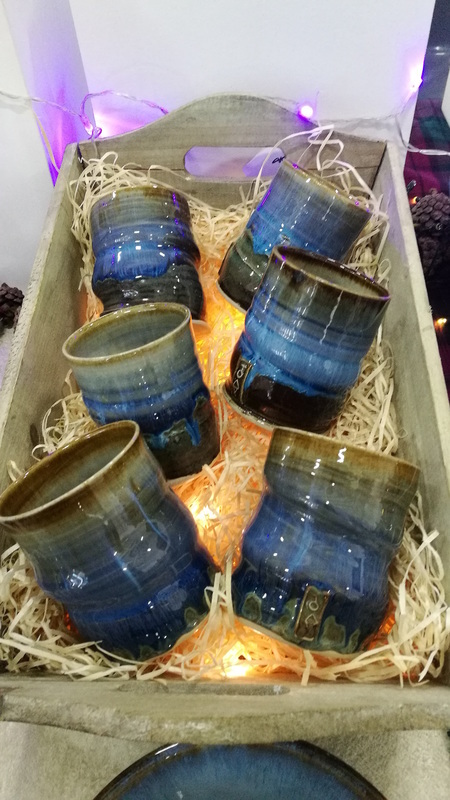 I took a trip down to Hawick in the Scottish Borders to drop off ceramics for 'A Taste of Potfest' exhibition in the Scott Gallery at Hawick Museum this week. The exhibition opened on the 26th March and runs until the 29th May. 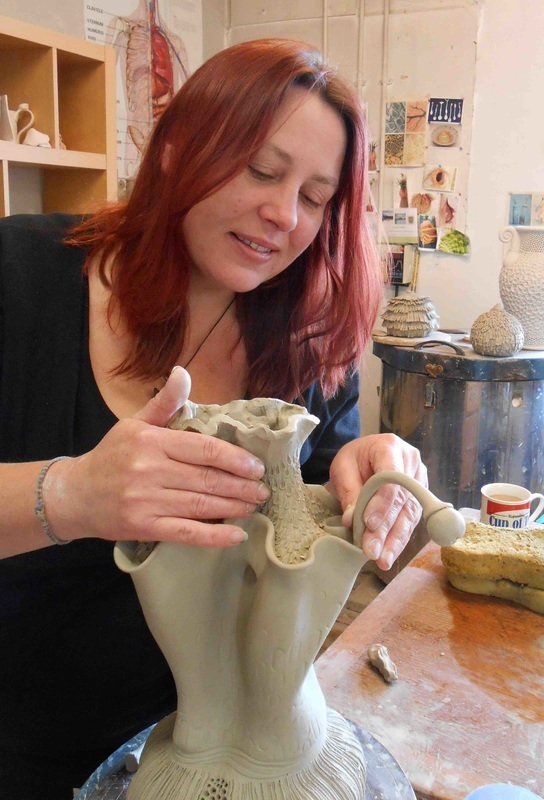 It's a lovely gallery and the exhibition features the work of twenty potters who are showcasing work at the Potfest shows in the summer. 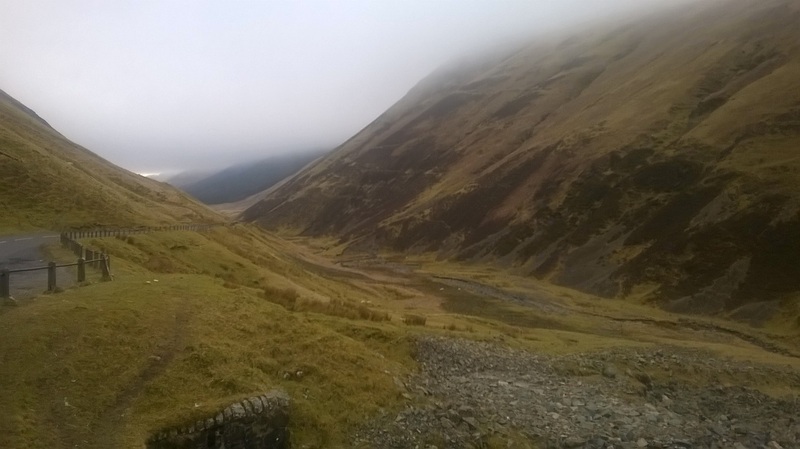 It was an inspiring drive through the Borders, stopped to take many photos and managed a walk up the Grey Mare's tail too.....nice to be out of the studio! I have some of my Scottish Landscapes range in Inchmore Gallery, a beautiful gallery near Inverness. 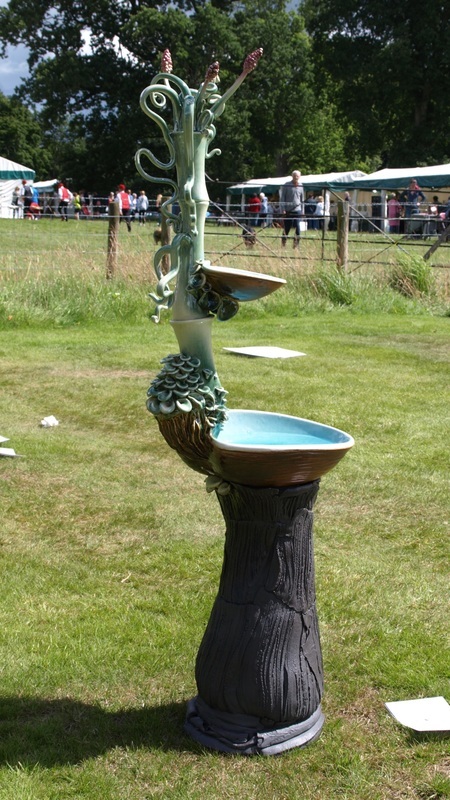 The exhibition is on until 29th July, showing a diverse range of ceramics from the Scottish Potters Association.